First time depositors only. Min deposit: £10. Max offer: Bingo Tickets worth £100 (£50 on Street Party & £50 on Big Bang) plus 10 Free Spins on a game of our choice with winnings capped at £0.50. All winnings will be credited to your real money balance. Free Spins expire after 7 days. Promo code: IDOL. Deposit balance is available for withdrawal at any time. General withdrawal restrictions & Full T&C’s apply. First deposit only. Free Spins on Fluffy Favourites valid for 7 days and win capped at £5. Bingo tickets: 3x BIG BANG and 40x KACHING. Deposit balance is available for withdrawal at any time. General Terms and withdrawal restrictions, and full terms apply. First time depositors only. 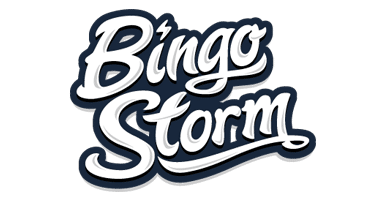 Min deposit: £10 with code: SUNDAE Max offer: Bingo Tickets worth £70 (60 tickets worth £30 on Street Party and 4 tickets worth £40 on Big Bang) plus 10 Free Spins on Fluffy Favourites with winnings capped at £1. Free Spins expire after 7 days. All winnings will be credited to your real money bankroll. Deposit balance is available for withdrawal at any time. First time depositors only. Min deposit: £10. Max offer: Bingo Tickets worth £70 (£30 on Street Party & £40 on Big Bang) plus 10 Free Spins (on Fluffy Favourites with winnings capped at £1). All winnings will be credited to your real money bankroll. Valid until further notice. Deposit £10, play with £80 + 10 Free Spins! 1st time depositors only. Min Deposit £10, Max bingo bonus £100. To withdraw Bingo bonus & related winnings, wager x4 the amount of your Deposit+ Bonus funds. Deposit balance is available for withdrawal at any time. New players only. Min Deposit £10. Get 200% bonus up to £200. To withdraw Bingo bonus & related winnings, wager x4 the amount of your bonus funds. New players only. Deposit min. £10 to get 200% Bingo Bonus up to £40 + £20 worth of cards to the £777 jackpot game. Withdrawal restrictions apply: Bingo Bonus wagering 3X (deposit+bonus). New players only. Min deposit £10, max bingo bonus £50, wagering requirements apply x4, Free Spins credited on pre-selected game. New players only. 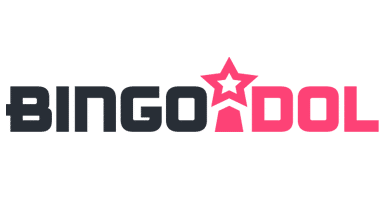 Deposit min £10 - get 250% bingo bonus (max £250). To withdraw wins related to bingo bonus, wager 2x the deposit + bonus funds. Deposits ca be withdrawn at any time. New players, min deposit £10 for 200% bingo bonus up to £50 + 50 Free spins. Bingo bonus WR: 4x (deposit+bonus). Spins capped at £12.5, WR: 50x (deposit+bonus). Games Bonus wins cap: £400 + the initial bonus amount. UK only - your deposit balance is available for withdrawal at any time. New players, min deposit £10 for 200% bingo bonus up to £100 + 20 Free spins. Bingo bonus WR: 4x (deposit+bonus). Spins capped at £5, WR: 50x (deposit+bonus). Games Bonus wins cap: £400 + the initial bonus amount. UK only - your deposit balance is available for withdrawal at any time. New players, min deposit £10 for 400% bingo bonus up to £100 + 50 Free spins. Bingo bonus WR: 4x (deposit+bonus). Spins capped at £12.5, WR: 50x (deposit+bonus). Games Bonus wins cap: £400 + the initial bonus amount. UK only - your deposit balance is available for withdrawal at any time. 1st Deposit Only. Deposits £10 - £100. Further T&C apply.